As the year rushes to its end, there are a lot of conflicting feelings. Some people are very stressed trying to get everything done that they can. Others have set things to autopilot and are just trying to coast out the rest of the year and “get by” on the wins they had during the other eleven months. Although you might have mixed feelings as the year draws to a close, there’s one thing that most people feel good about, and that’s celebrating the holiday season. Some people celebrate seriously going to see classical music concerts feature a symphony orchestra playing your favorite Christmas tunes. Others go to their local showing of Handel’s Messiah. And still, others just sit around their television in the living room and watch as the best Christmas films of all time are run back to back during the month. However, if you were among the lucky few to attend Desert Star’s rendition of the Nutcracker Ballet, then you were surprised with a delightful treat. 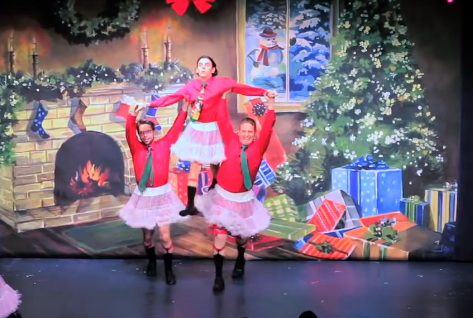 The ballet was loaded with holiday spirit and joy. But it also included some surprises that no one saw coming. That’s because the ballerinas in the show did not look like typical ballerinas. The hilarity starts when a grown man in a red shirt and a green necktie appears on stage. Everything about him looks rather ordinary except what he has around his waist – a tutu. 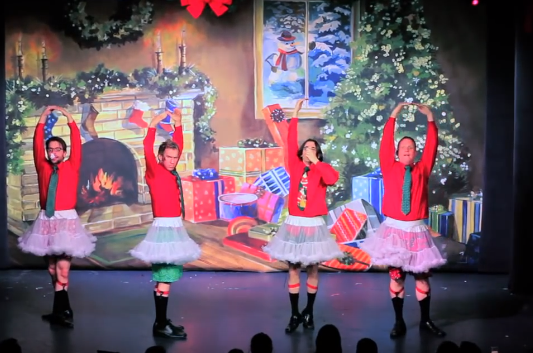 The audience laughs at the man wearing the woman’s clothing, but then three other men also dressed in tutus join him. The audience cannot hold back their laughter at this point, so they just let it rip. Now that they’re on stage, the men embarrass themselves as they hop and jump about the stage. But they don’t seem to be embarrassed. To the contrary, they seem to be living their best life. The men frolic around in front of the audience wearing their tutus with pride. However, there is a twist in the routine when the men reveal something unexpected. They have something underneath their tutus that the crowd never saw coming. That’s because the men had their plaid boxers underneath. However, when the fourth man turns his back to the audience, all you can see is an ugly “rear.” Fortunately, it was not his own flesh, but a costume prop. But that did not make this performance of the Nutcracker any less interesting. It really just made these “professional” dancers more excited to show off what they’d learned. Choreographer Allison Cox said that planning this show was a lot harder than the normal one. Because these men knew next to nothing about dancing, Allison had to work hard to shape them into tutu-wearing ballerinas. But in an interview with the Daily Herald, she admitted that it was one of the best times she had as a choreographer. What do you think about the ballet performance?